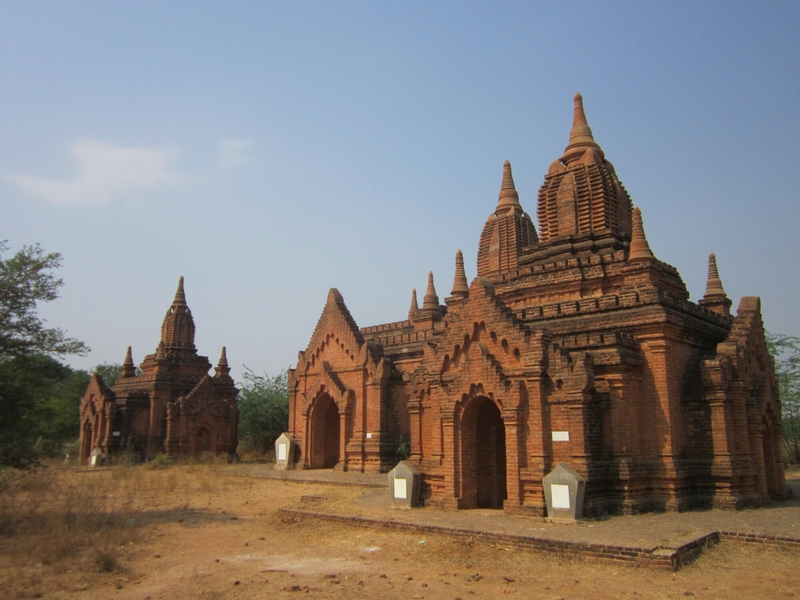 Arriving in Bagan I rendezvoused with friends i’d made in Yangons bus station who were staying at the same hostel as me and we headed there. 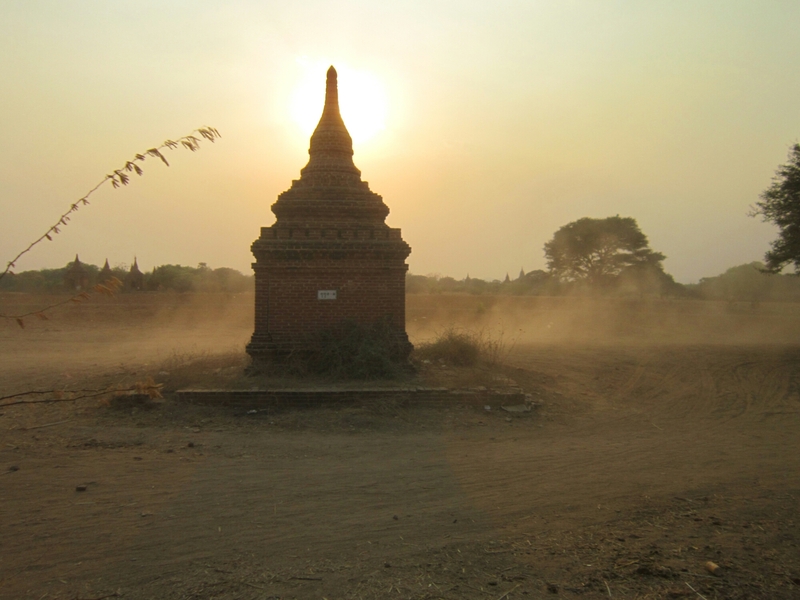 It was called Ostello Bello and it’s a really cool place, a good base for meeting other travellers and exploring Bagan. Expensive but recommended. 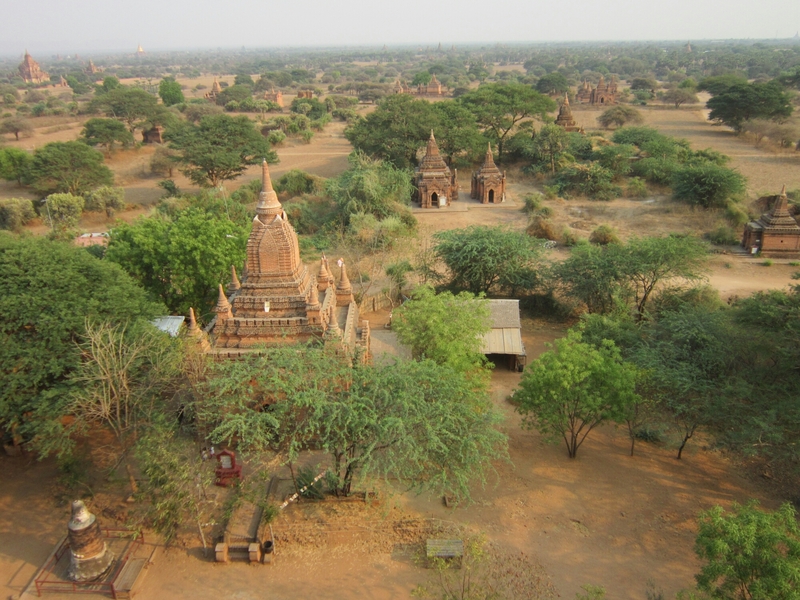 It’s in New Bagan, the other 2 ‘hubs’ are Old Bagan and Nyaung U.
Bagan is a place of thousands of temples. 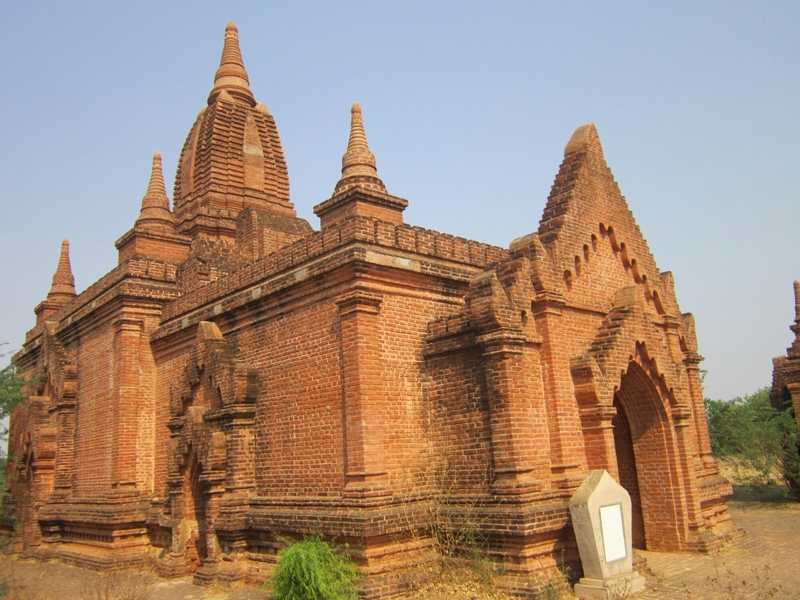 It was capital of the Kingdom of Pagan between the 9th and 13th centuries, and over 10,000 Buddhist temples and pagoda’s were built in that time, of which over 2000 remain now. 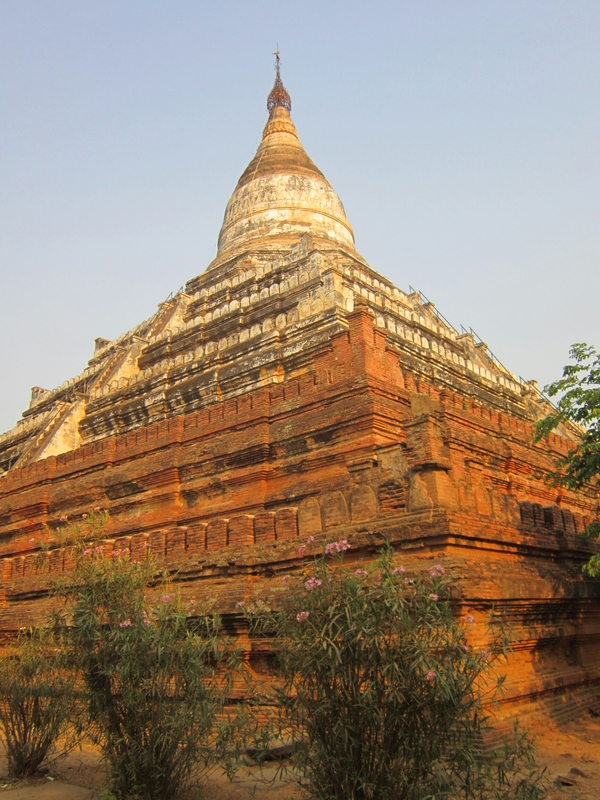 Whilst I was in Bagan it was also Thingyan. Thingyan is a water festival to celebrate the Burmese new year. It runs from 13th April to 16th April, with New Year on the 17th. This year Myanmar has extended the festival by one day so it started on the 12th. 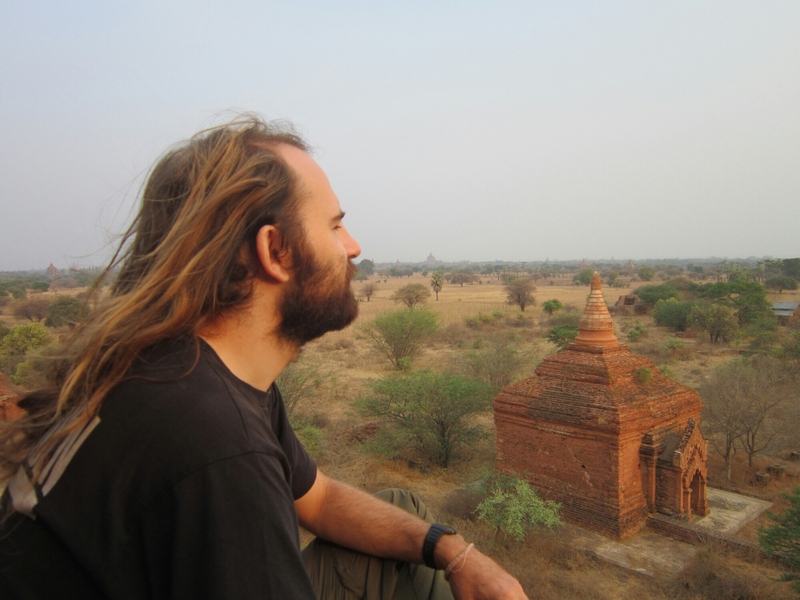 I was in Bagan 11th to 14th, leaving on 15th. It involves people throwing water over anyone in their sights, using all kinds of methods (buckets, hoses, waterguns etc). The water is seen to cleanse you. The main way to get around in Bagan is hiring an ebike. However I am terrible at riding any form of bike so another option was needed! So that day me and 4 others hired a taxi for the evening and next morning together. I was the only guy, the other 4 were girls, from Brazil, Georgia, Korea and Haiti. A diverse group! Our first stop was the impressive Shwesandaw Paya. You can climb it and it has outstanding views over the surrounding area. Me and my friends first experienced then something which would happen a lot as we went around the temples: Myanmar people who wanted photographs with us! As it was Thingyan there were many Buddhist pilgrims visiting the temples and to many of them the sight of a non-Asian (or even non-Myanmar person) was a rare one indeed! We saw a couple more of the big temples that evening including Dhammayangyi, which was really busy with pilgrims. There are a lot of cool small temples around which are good to check out too. For sunset our driver took us to a good spot where we ran into some of the girls we’d befriended at the bus stop the night before, 1 Spanish and 2 Swiss, so that was great. We got up early in the morning to see the sunset from a quite temple where we were the only ones there. 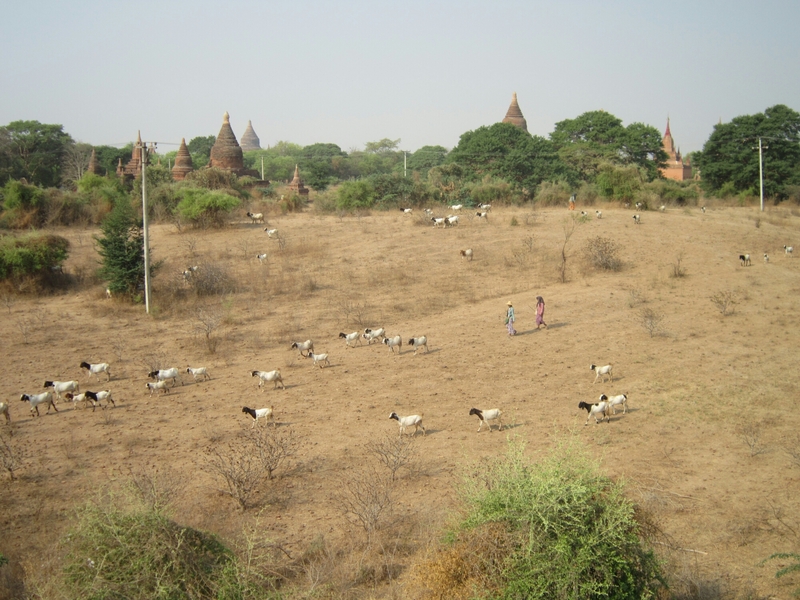 Near Old Bagan we saw locals herding goats which was a cool sight. We then went to see Ananda temple where we first started to see kids throwing water for Thingyan! We went to see more temples and ran into our friends again which was great! I don’t know all the names but we covered all the ‘main’ ones and saw plenty of smaller ones in and around! We also went to the market which was fun as a local woman insisted on putting Thanaka on us, which is the suncream paste many of the locals wear. 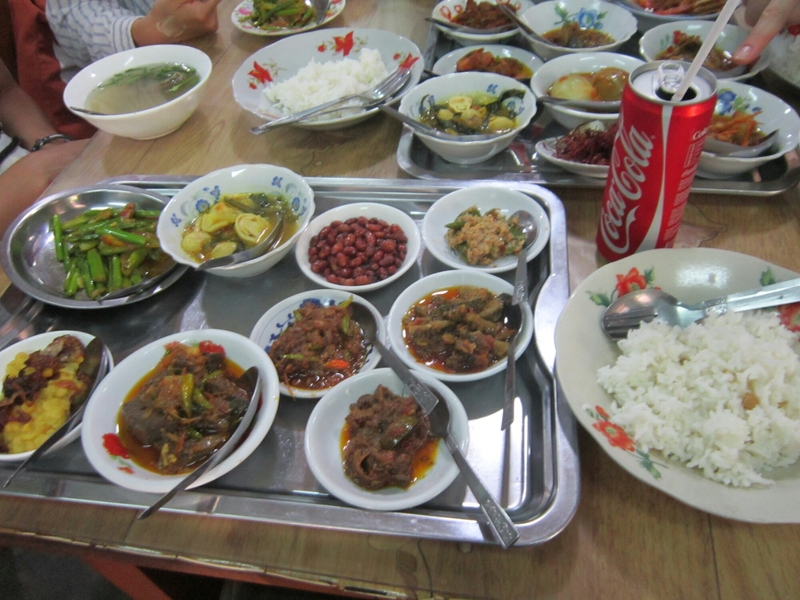 We also went for lunch at a local restaurant, I forget the name but you get presented with many small dishes and pay for what you eat from. I showed my note in Burmese explaining I am vegetarian so had my own assortment made for me to select! That day Thingyan really began to start as people set up water stations along the roadside which varied from one or 2 kids with small buckets or water guns to groups of people with lots of water glossy ng out music to full on stages with people using hoses, and everything in between! Outside our hostel there was an inflatable swimming pool and a few people getting involved! I went out that evening on the back of an e-bike with an English guy i’d met and we caught the sunset at the Shwesandaw Paya temple. Next morning I went on the back with him again and we joined the hostel ‘sunrise tour’ and we (maybe 20 e-bikes total?) went to a place the hostel knows and climbed up on a temple to get some good views. That evening I met the Spanish girl and went on the back with her around a bit before we met the Swiss girls for sunset. Just a note on the weather as well: it was over 43C, often 45C in the middle of the day and one guy recorded it as 47C at one point. So seeing temples between 11am and 3pm was not really ideal…. most people did sunrise and morning then headed out again around 3 or 4pm when it got a little cooler. There were no Balloon trips running during my time there, so no Bagan balloon pics for me as you may have seen on other blogs or travel sites etc. One girl did try to go with the one company that was going to run but unfortunately they had to cancel because of the dry hot weather conditions. The temples really are spectacular, and it was great that the majority of people touring around them were Buddhist pilgrims. You could see they were all in mini trucks flying the Buddhist pilgrimage flag. For the last day in Bagan I joined the hostel group that headed on an open top mini truck that afternoon to visit the nearby town of Pakokku to join the Thingyan celebrations. To put it mildly, it was insane!!!! Heading there and back we got hit by plenty of water stations but arriving in the town was a whole new level. It was jammed with mini trucks and bikes and in the centre a huge stage with a band playing and big water stages each side using hoses to drench the large crowd of hundreds and hundreds of people. And being foreigners we were swamped with people wanting to shake our hands or hug us or whatever, it was like being a rockstar! An experience I will always cherish! The next day it was time move on. There are no buses during Thingyan so over the course of the past 4 days there had been plenty of negotiations, notes on a board and asking around and eventually we got together 15 of us to rent a private van to head to Kalaw, some of which I went trekking with which i’ll cover in my next post. 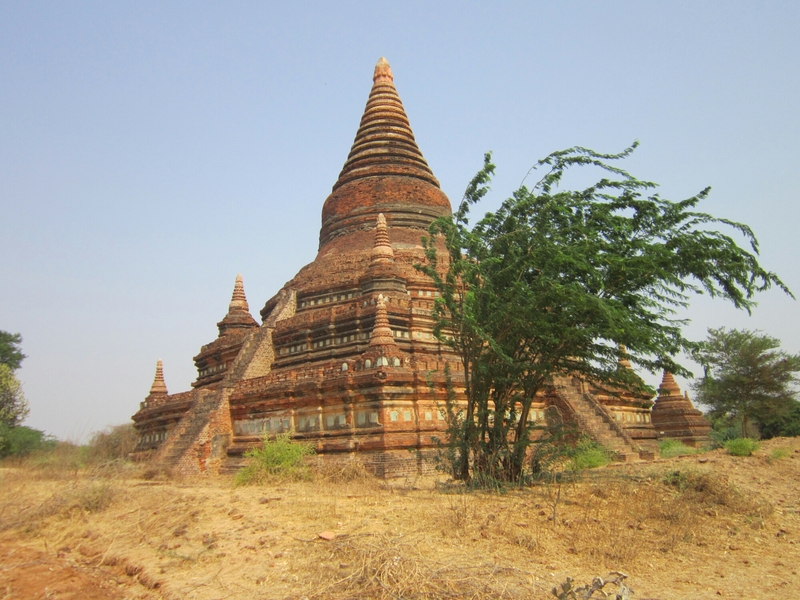 Bagan, you were amazing and I feel like it was such an awesome time to visit!